Technology has moved so further that you don’t have to host your website on a local server. No doubt you are required to store the backup and this is the reason you may have a room that is filled with those servers. But with cloud computing the working of your business will change completely. This is because cloud is considered as the powerhouse that is developed to run a business effectively as well as efficiently so, you don’t need to get surprised if it’s extraordinarily popular. Also, as per the stats of RapidScale, 94% of the businesses saw an improvement in the security after migrating to the cloud whereas 91% said that the cloud makes it easier for meeting the demands of government compliance. Even small businesses consider cloud for running their operations as they get the freedom to access their data from anywhere, on any device and at any time. But this is just a single benefit of migrating towards cloud, there are many more. Additionally, there are several business hosting providers in India that commit to offer business cloud hosting but very few really do offer it. To ensure that you get the best business cloud hosting solution, take a look at the MilesWeb Business Hosting in Cloud. What is Business Hosting in Cloud? Business hosting in cloud means a hosting in cloud that is offered to all online and ecommerce businesses that offers flexibility and efficiency to run them. These features aren’t offered in normal business hosting plans which other web hosting providers offer. With MilesWeb, you get all the significant features of cloud for your business. MilesWeb is the leading website hosting India provider that was founded in 2012. Since then it is catering its customers with multiple hosting services such as shared, dedicated, VPS, cloud, WordPress, ecommerce, business and other application hosting. Whether it’s a small business, ecommerce or big organization, MilesWeb is a one stop solution for all types of businesses. MilesWeb business hosting in cloud is a secure and reliable business web hosting as it meets all your business requirements. Additionally, they offer hosting and security bundled together in one package. Why Choose MilesWeb Cloud Based Business Hosting? With a normal physical server you need to share the system resources with other users on one physical server and so it may affect your website performance. Their business hosting plans are integrated with cloud hosting server. The resources on a cloud server are spread across multiple servers and you can utilize them as per your needs. Due to this, the chances of downtime get highly reduced. Worried about your website getting crashed or losing data? MilesWeb offers website backup solution to you for restoring and rolling back your data from any point of time just with a few clicks. The backup of your files and data is done automatically to the cloud server on a regular basis. Also, you can run an on demand backup of your website. Are you getting spam emails into your account? Switch to MilesWeb cloud-based business hosting as they ensure that all your email accounts remain safe. Their advanced email protection detects and filters all the emails in your inbox for spam, phishing, viruses and other email attacks prior to their landing into your inbox. This email protection feature works at the domain level for securing all email accounts built with that domain. A web based hosting control panel is offered by MilesWeb for managing your website with a user-friendly interface. May it be your databases, mail accounts, domain names, file manager, website statistics or FTP, everything is manageable from the cPanel’s dashboard. You don’t need to have technical knowledge to manage your website thus, making it effortless for you. Struggling for quick page load with your current business hosting service? MilesWeb improves your experience of page load with its 100% SSD disks that help your website pages to load quickly as all your data is hosted on their SSD server. These drives consume less energy as compared to mechanical hard disks. Due to this, you get rapid webpage speed and growth in the usability of your website which ultimately means increased visitors, increased page views, increased interaction and increased revenue generation. Digital certificates are the backbone of the internet security in industry standards. SSL certificate is a digital certificate that makes your website trustful for visitors. It helps in serving an encrypted connection between your web server and the browser of a visitor. It safeguards the confidential data transferred on the website such as debit/credit card information, social security numbers, usernames and passwords. It protects all the domains, sub-domains as well as servers with a single certificate. There are chances that your site might share the IP address with another website, leading to spam marking. This might also cause your IP getting blacklisted while sending emails. To prevent your website from such things, you are allotted a dedicated IP that is used by your account for email sending and ensuring the smooth delivery of emails. The experts of MilesWeb have the complete knowledge about hosting and guide their customers in improving their website performance and also help them to resolve any issue that occurs on their website. You can reach them via live chat, email and phone at anytime as they are available 24/7/365. You can try their services at first and if you aren’t 100% satisfied, they refund you your money. You need to claim for the refund within 30-days of purchase. Unlike other hosting providers, they not just commit but really offer 99.95% uptime so that your website remains live all the time. 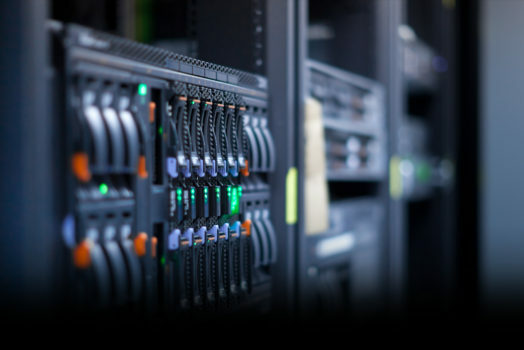 Their Tier-3 and Tier-4 datacenters help them in offering the best uptime. Apart from this, they allow you to upgrade to business hosting from any other plan you are using and at any point of time. The migration process will be completely free and you simply need to pay the cost for business hosting package. 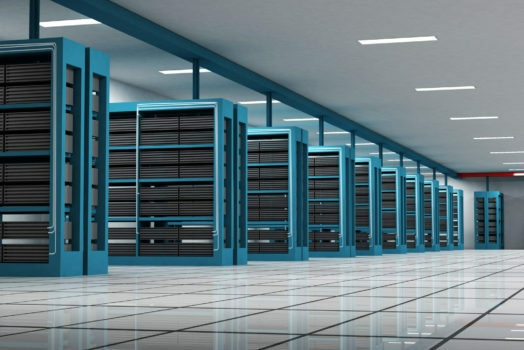 Additionally, you have a choice of selecting a datacenter – India or US as per your business requirement. Are you still thinking whether to migrate to MilesWeb or not? You won’t get all these benefits in some other hosting service at such an affordable cost. It’s time to take a step towards MilesWeb and help your business grow smoothly and rapidly. Next Post Digital Marketing Solutions: What Is Marketing Automation And How Can It Help You Gain An Edge Over Your Competition?